DigiDNA is an independent software developer incorporated in 2008 under the name of DigiDNA Sàrl in Geneva, Switzerland. Installing iMazing 2.3 is simple and straightforward. Version2.3 makes use of the new Mini-Menu which is Free available for anyone. This small but usefull addition allows you to make backups of your iPhone or iPad. It is not often we get software like this for Free ! Welldone DigiDNA ? 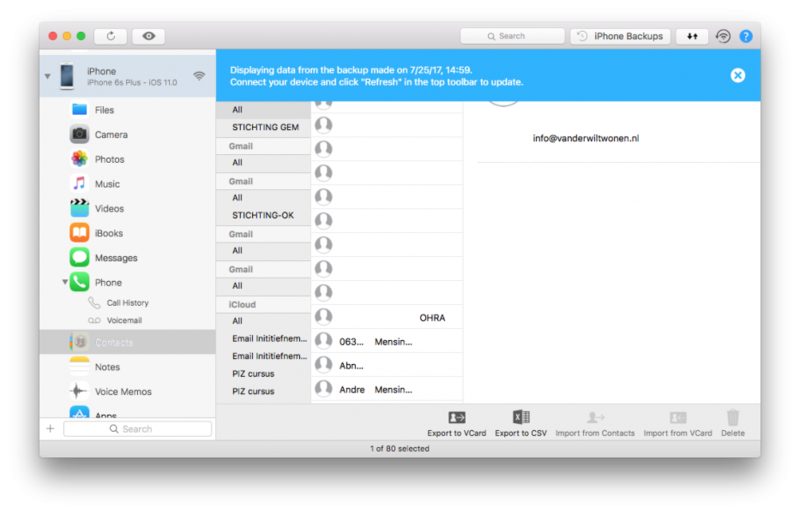 iMazing 2.3 ($40 single-user license) is an iOS device management utility designed as an alternative to iTunes. Available for Mac or PC (the license can be used on either platform), iMazing doesn’t sync files in the traditional sense, but rather acts as a conduit for transferring files between desktop computers and iPhone, iPad, or iPod devices. As most of us especially our readers will have an iPhone or iPad this utility will be a handy tool for your full file-management. iTunes is also capable of doing backups and restores but it lacks further refinement in all the other jobs iMazing presents. 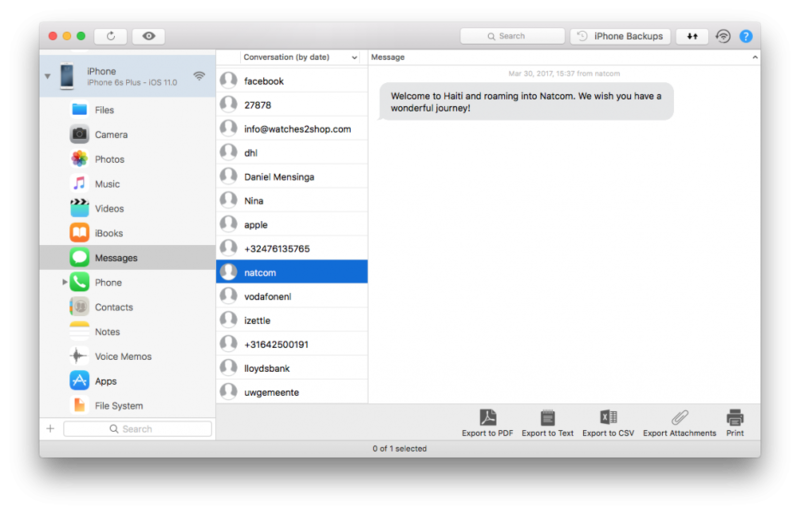 iMazing can export iMessages data and your backups can be stored anywhere. One other nice aspect is the ability to view your created archive in a blink (see image below). You will notice when you watch the small video that when opening a backup, it is done instantly, no need to search for the location and instant access to the archive. Now you may choose your desired operation; Restore, repair or else…. 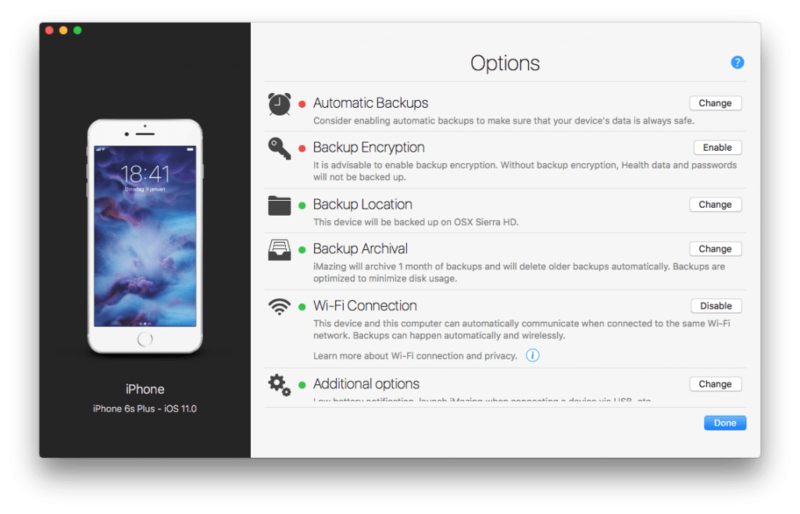 The preferences will give you a choice for Backup location. The rest is all basic and have no special settings really. The options presented in the right-click menu’s are great and make every task available. 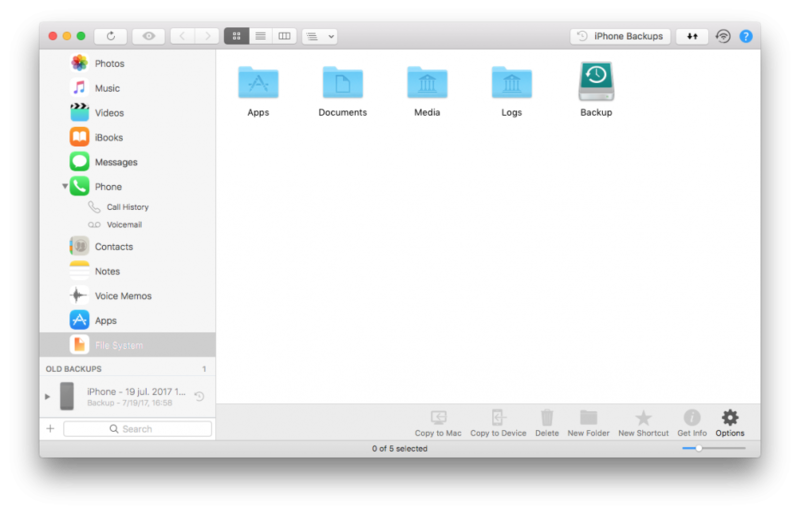 To make Automatic Backups possible, a light menu bar app is needed which runs in the background even when iMazing is not. 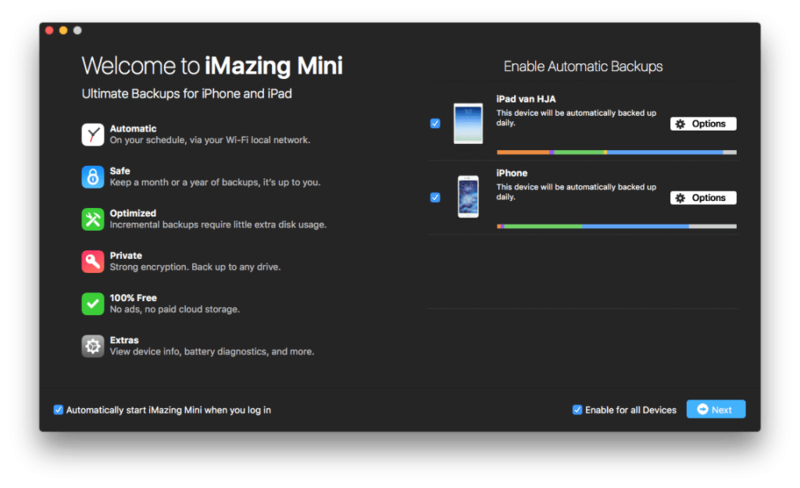 Unlike iTunes and iCloud, iMazing never overwrites your iPhone and iPad backups. And doesn’t require paid cloud storage. Reliable and innovative, it’s the only software on the market to offer an automatic backup and archive solution, for free. Make secure, local backups via your WiFi network. 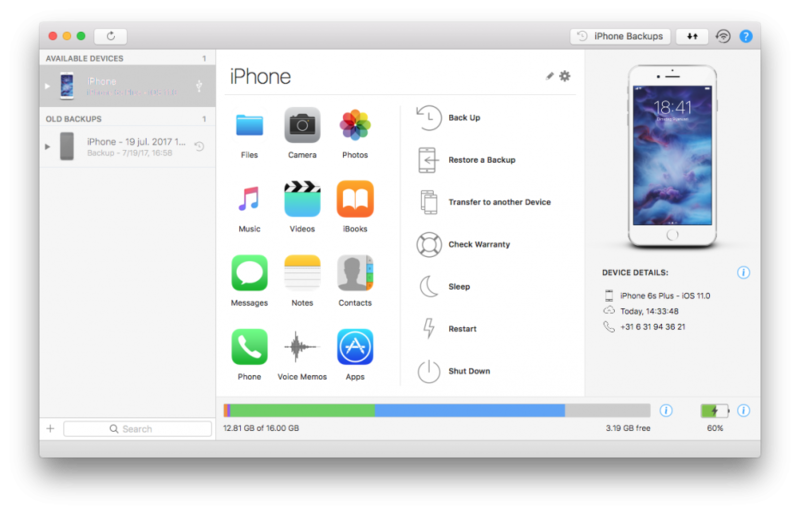 iMazing can connect to your iPhone and back it up faster than iCloud. Your encrypted data goes through your private network directly to your computer. As you can see the presented file management options and right-click menu are more then sufficient for any task wanted. Even your device-warranty can be checked with just one click. This is ordinary basic toolset! iMazing is a true Swiss Army knife when it comes to file management for iPhone or iPad. iMazing 2.3 manages your apps, photos, music, videos, notes, call logs, and voice memos. iMazing 2.3 also transfers your ebooks and PDF documents to iBooks. Photos can be transferred from computer to iOS via drag-and-drop. How’s that for handling your files. Certain data types including Messages, call history, voicemail, Contacts, and Notes can only be accessed from a backup, rather than the device itself. Scanning of your files, photo’s or iCloud stored photo’s all depends on the amount of files or images of course. So this experience may vary from person to person. I will just show you a small video on how it performs on my personal account. I fell confident this performance will be good for most users. And it all works beautiful without freezing or hick ups. One of iMazing’s best features is the ability to copy content between devices, which is for upgrading to a new iPhone or iPad. 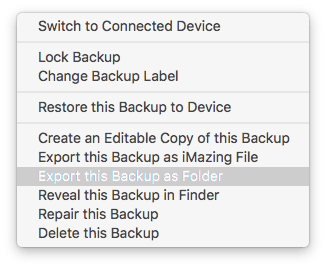 iTunes wants you to perform a lengthy iCloud backup, iMazing 2.3 only needs you to connect both devices, start the transfer and you’re done! 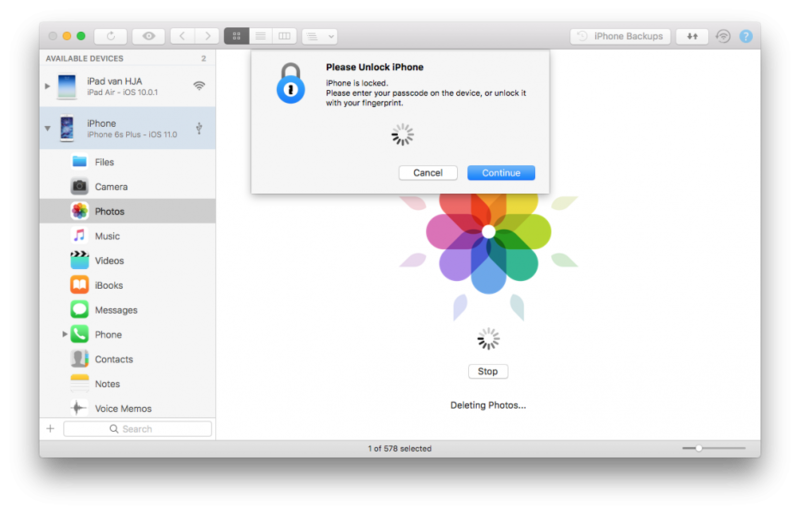 iMazing makes all restores possible trough its Restore wizard, and hassle with Apple’s assistant popups anymore. Its all done within iMazing software environment. iMazing 2.3 detects when the current version is out of date and offers to update with a click. One special feature is to see if your iPhone or iPad is still under warranty. Just one click and your browser takes you to Apple’s site and checks your device. 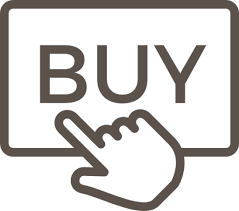 No need to fill any serial numbers or any other information. I think there’s nothing really better on the market right now then iMazing 2.3. If you are looking for a great iPhone and iPad toolbox this is the application to get. 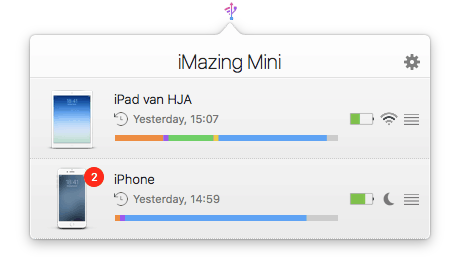 iMazing provides full control over your devices IOS software, and makes all actions perform in a simple and easy way. 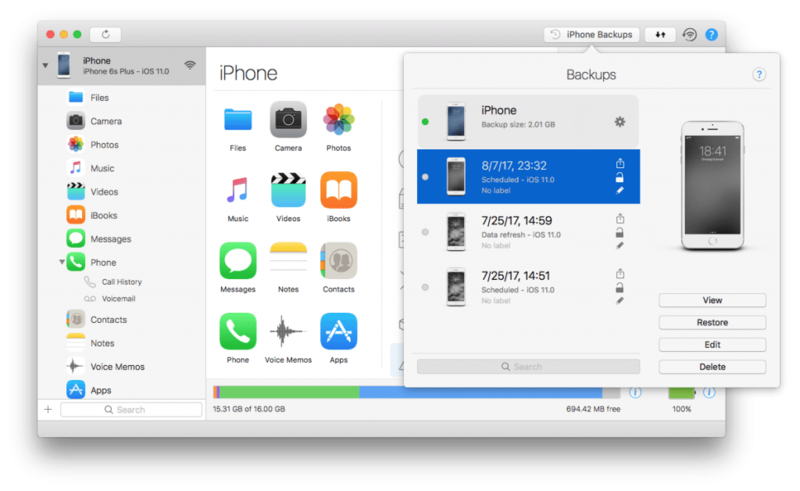 Automatic backups is possible, with the need of a light menu bar app which runs in the background even when iMazing is not. There’s nothing I can find that makes me think twice about its capabilities. So to sum it all up: Looking for a Swiss Army knife for IOS handling, then this is it. This is the proper weblog for anybody who wants to seek out out about this topic. You notice a lot its nearly arduous to argue with you (not that I really would need…HaHa). You undoubtedly put a new spin on a subject thats been written about for years. Great stuff, simply great!